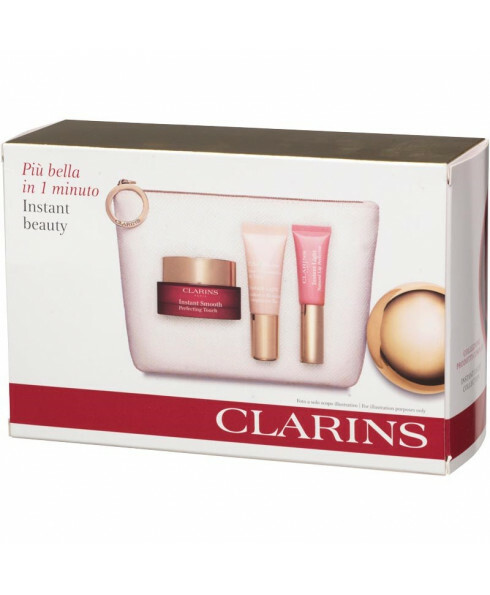 - Clarins Instant Light Radiance Boosting Complexion Base in 01. Rose. 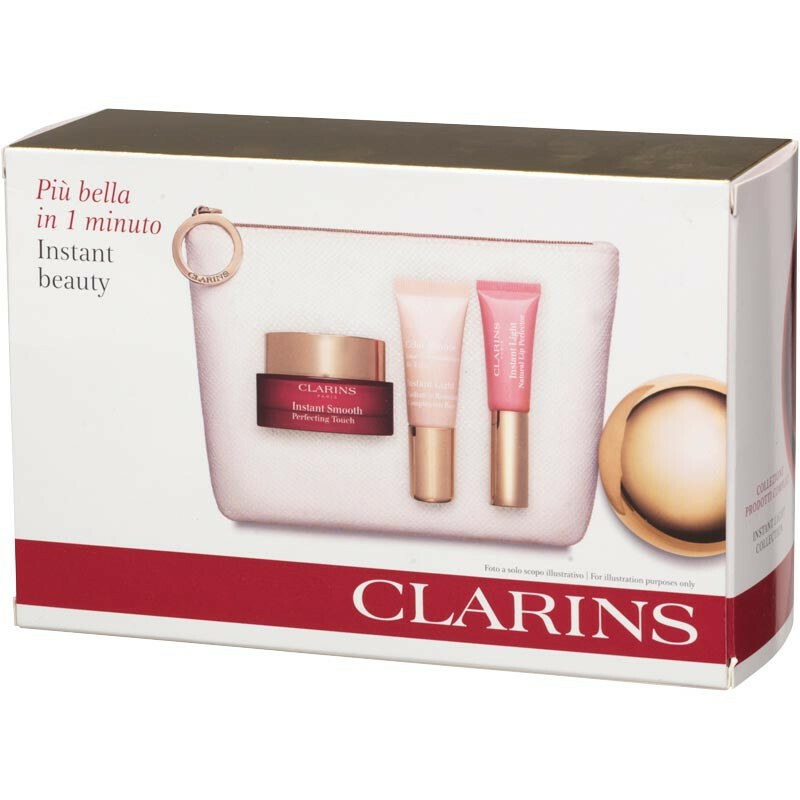 - Clarins Instant Light Natural Lip Perfector in 01. Rose.